College Football: Which Team Will Win Each Power 5 Conference? The 2016 college football season is officially underway, and there’s plenty to watch. While great teams showed their strengths during the first week of action, it’ll be interesting to see who can rise out of each Power 5 conference. We’re going to predict the winner for each of the Power 5 conferences and give some insight into every selection. A quick refresher: College football’s Power 5 conferences consist of the ACC, Big Ten, Big 12, Pac-12, and SEC. Let’s start with two ACC teams that will make a push for not only the conference title but a spot in the College Football Playoff too. To be clear, whoever wins the Atlantic Division in the ACC (which will be either Clemson or Florida State) will take down the winner of the Coastal Division. 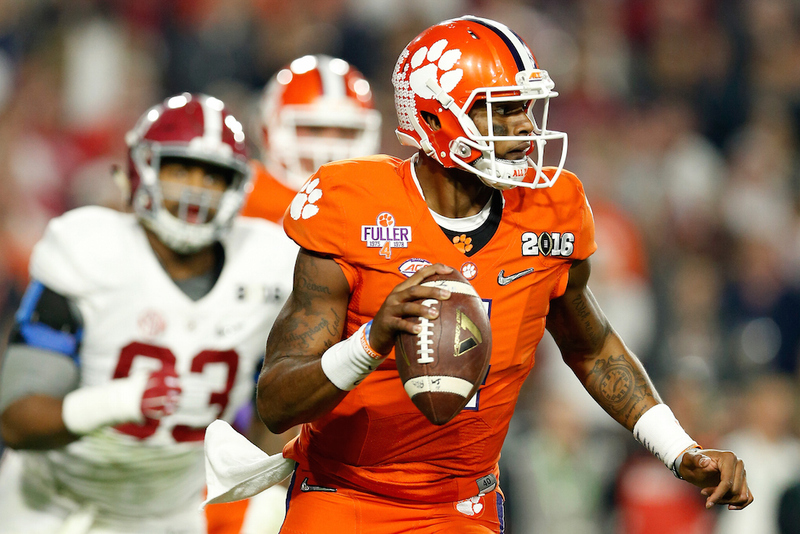 Clemson saw most of their offensive players return, which will give them an advantage. Between their potential Heisman Trophy winner Deshaun Watson, wide receiver Artavis Scott, and running back Wayne Gallman, the upside is tremendous for the Tigers. After falling just short of those National Title dreams in 2015, they will be back in full force this season. A must-watch game this fall, Clemson does have to go to Florida State to take on the Seminoles, which will have huge implications for both teams. However, the Tigers are more than talented enough to get the job done, and from there take down the ACC crown. And yes, you guessed it, even win the National Championship in 2016. Seeing the Houston Cougars take down the Oklahoma Sooners in their first game was shocking, to say the least. While Baker Mayfield and Samaje Perine form one of the best duos in college football, the Horned Frogs just aren’t getting enough love right now. No, TCU didn’t look amazing in their season opener against South Dakota State, but now that we’ve seen them knock the rust off (and still win 59-41), expect TCU to be more than talented enough to beat Oklahoma. The fact that TCU gets the home-field advantage against the Sooners when the two face off in early October is great news for the Horned Frogs. 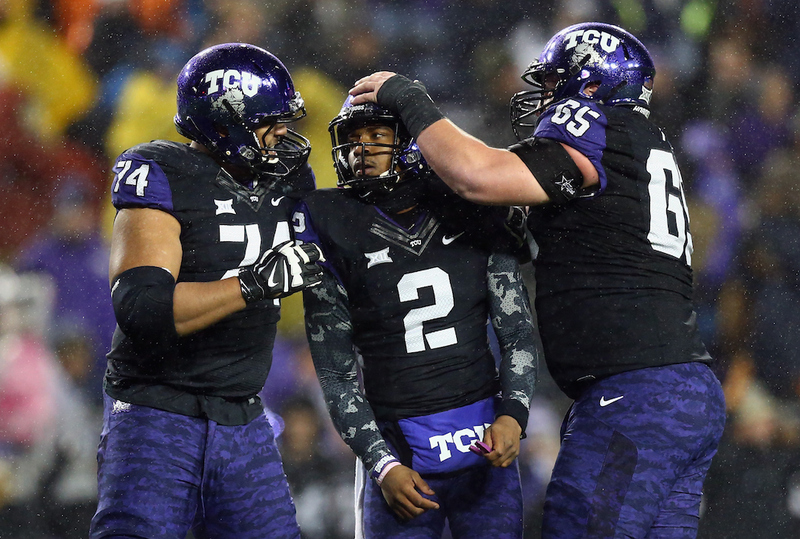 In a game that should be a shootout, we believe Kenny Hill can get the job done. Expect TCU to lead this team to the promised land. The Michigan Wolverines will be a fun team to watch, as usual, but for the first time in a few years now, the Buckeyes are actually flying under the radar a bit. 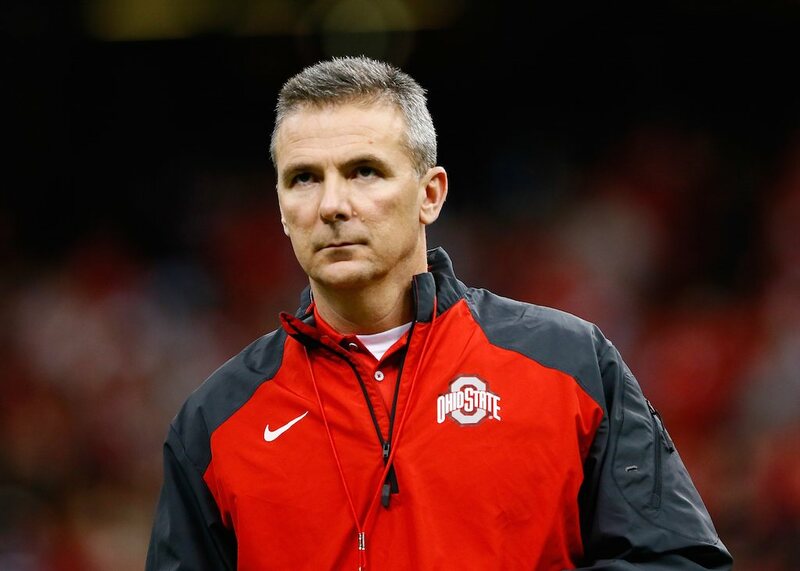 That may seem ridiculous, but with Michigan picking up so much hype, many believe that Ohio State may take a backseat. We don’t see that happening; not only do the Buckeyes have the elite J.T. Barrett, but they also have a great running back who few are saying much about in Mike Weber. Both Ohio State and Michigan face some brutal games this season, but we should get a quick answer about how good the Buckeyes really are when they take on the Sooners on Saturday, September 17 on the road. Here’s a fun one. While Josh Rosen and the UCLA Bruins already dropped their opener against the Texas A&M Aggies, we have plenty of reason to be concerned about that situation. To go along with that, the Stanford Cardinal — the popular pick to win this conference — have some questions at quarterback, but they still have Christian McCaffrey. While McCaffrey will be enough for Stanford to run with any team out there, we love the upside of the Huskies. 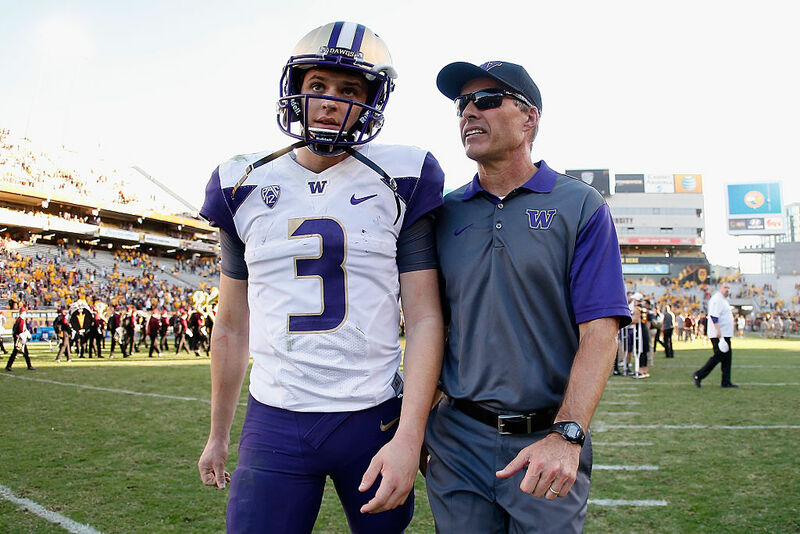 Washington is talented on both sides of the ball, and the team is led by a great, under-the-radar quarterback of their own in Jake Browning. Don’t sleep on the Huskies in 2016. The first week of college football action was eye-opening for SEC fans. 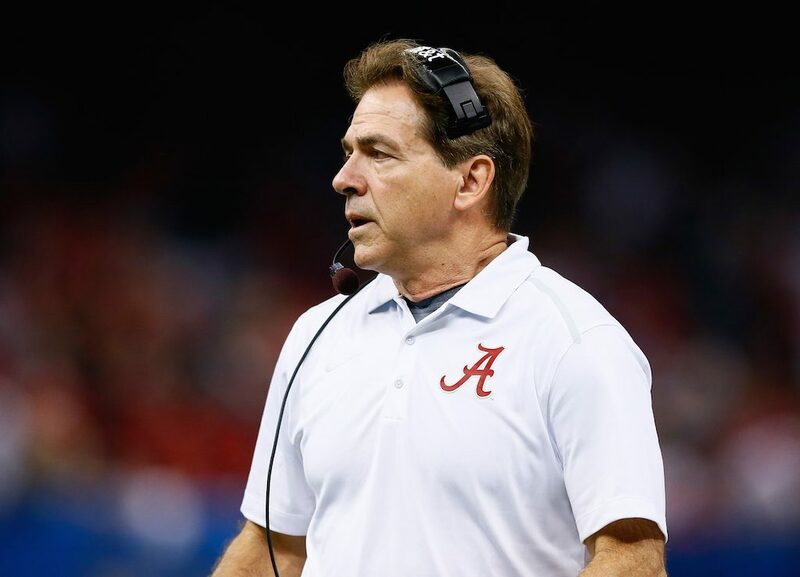 There’s been a lot of hype surrounding the LSU Tigers this year, but unfortunately, you can’t have slip-ups in the SEC, especially when you’re up against a team as talented as Alabama. The Tigers dropped their first game 16-14 to the unranked Wisconsin Badgers, which puts them behind the eight ball for the rest of the season. On the flip-side, watching Alabama absolutely shred apart the USC Trojans after falling behind 3-0 early was almost unbelievable. Not even just the offense, but the fact that the Trojans managed just three points for the entire rest of the game. Alabama won that one 52-6, defeating the No. 20 Trojans, and showed that even after losing Derrick Henry and a handful of players from their 2015 defense, they only needed one quarter to pick up where they left off last year.